Of all the home improvement projects, remodeling your kitchen has the highest return on investment. It makes sense because everyone wants theirs to be newly renovated but you may be at a road block thinking of kitchen remodeling ideas. Fear not, Feldco is here to help. From new cabinets to window replacement, we have many different ideas you can use to create the kitchen of your dreams. So sit back, relax and get ready to read about 9 cool kitchen remodeling ideas. One of the first things people see in a kitchen is the cabinets. When they’re made from wood, they give your home much needed visual appeal that you won’t get anywhere else. Not only do you want wood cabinets but you want a lot of them. Having more cabinet space is highly sought after and will improve the value of your home. If you don’t plan on selling your home, it’s still nice to have all the extra storage space. If you’ve ever had too few cabinets in your home, you’ll understand why this is number one on our list. 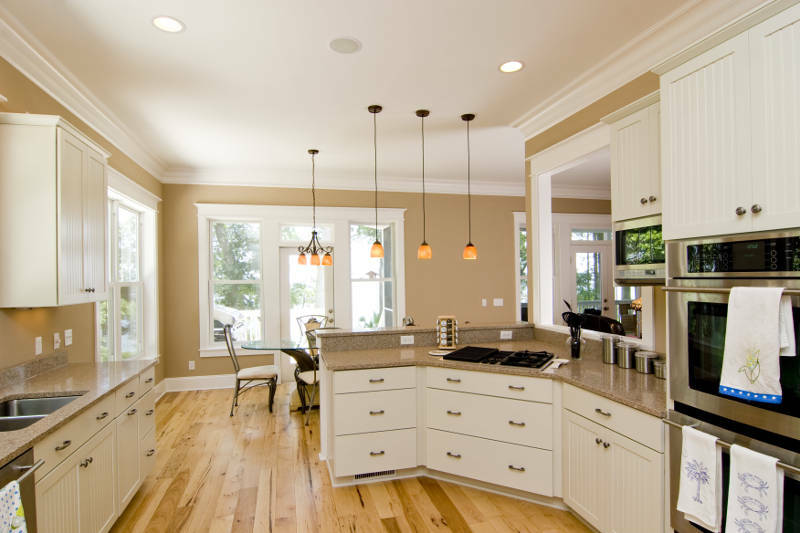 Along with cabinets, countertops are a huge part of your kitchen – they almost go hand in hand. Much like cabinets, you’ll want a lot of them because you’ll have extra space to prepare meals. When choosing a countertop material, you have many options. The one that sticks out most is granite. 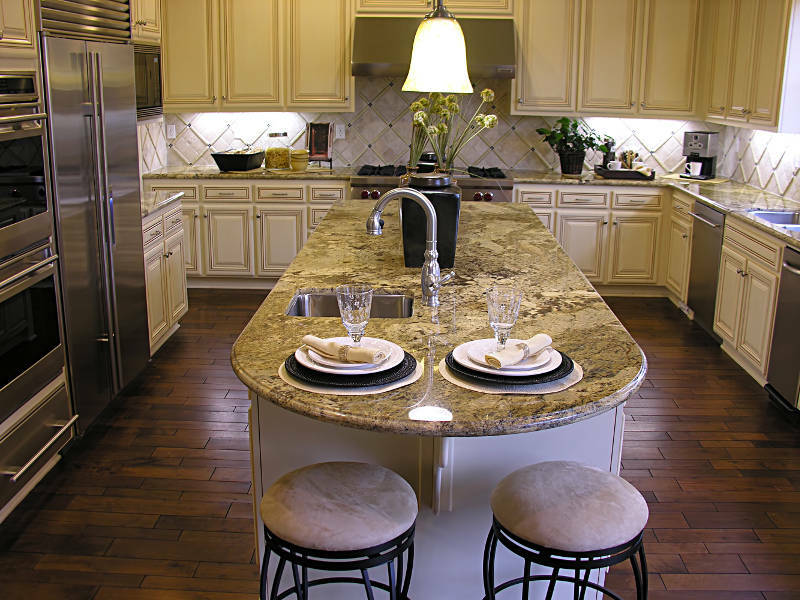 Granite countertops will improve the look of your kitchen and give it a modern, sleek style. If you’re selling your home soon, granite counters will increase the value. Kitchen windows are essential so it’s important that you get the right style for your home. There are a few great options for a kitchen that we’ll go over below. Sliding windows are great for above a sink or in other hard to reach areas. This is because they open and close easily by moving along a sliding track – it can be operated with one finger. They also give you control of your kitchen’s air circulation. You can open them as much or as little as you’d like to allow fresh air into your home. This is especially important in a kitchen where you’ll be cooking and creating steam and heat. Without a window, that’s all trapped inside. One of the more unique window styles is a garden window. It’s a large box of windows that protrudes from your home. Since there are windows on all sides that allow light into your home, it’s a great place to grow plants. 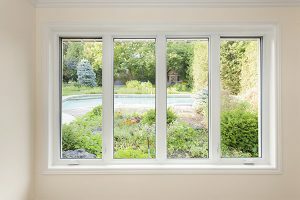 On the sides of your garden window are two small casement windows which open and close on a hand crank. That means you won’t lose control over air circulation if you choose to get a garden window. One of the most common window styles is the double hung window. It has two operating sashes that move up and down. They’re so popular because they give you great control over air circulation. Plus, double hung windows are extremely easy to clean. They have small latches on each side of both sashes. When pushed, you can tilt the window inside and clean both sides easily. If you have single pane kitchen windows, you’re in trouble. They’re not energy efficient so you’re spending more money to try and heat or cool your home. That means your furnace or air conditioner have to combat the constant bombardment of outside air. If you get double or triple pane glass windows, this problem is a thing of the past. 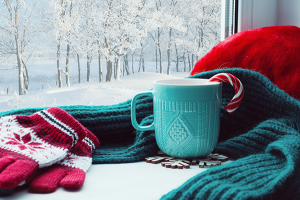 Your windows will have extra layers, making it more difficult for heated and cooled air to escape or outside temperatures to set in. Also, double and triple pane windows often have argon gas between the glass. This is the key to enjoying a more comfortable house. Argon is denser than normal air making it hard for your heated and cooled air to escape. In fact, it’s virtually impossible. When getting replacement windows, there are many different materials available. You can get wood windows, vinyl windows, aluminum windows or many other options. We suggest you get vinyl windows. Like all window materials, vinyl windows offer double and triple pane glass but they differ in their frame. Unlike other options, the frames are foam insulated and create an air tight seal for your home. No heated or cooled air will be escaping your home. Plus, vinyl is resistant to moisture and won’t warp, rot and expand when exposed to it. Since you live in Chicago, you know how humid the summers are and the amount of rain and snow we get each year. The last thing you need is your windows getting damaged. Of all the kitchen remodeling ideas, the floors are often the most forgotten. Unless they’re damaged or old fashion, many people ignore them. That being said, if you need new floors, you have to think about replacing them. You have many options when choosing flooring – in fact, almost any type will work. The only exception is carpet. With all of the cooking being done in the kitchen, a carpet would get stained rather quickly. We recommend a nice hardwood, laminate or tile. All of those have the ability to complement the other features of your kitchen while still looking beautiful on their own. We go from one of the more forgotten kitchen remodeling ideas to one of the most popular. Kitchen appliances are constantly improving and getting more elaborate. Did you know that some even have built-in tv monitors now? As technology improves, you want to keep with the times. When appliances get outdated, they tend to take away the appeal of the rest of your kitchen. There’s more to trending appliances than technology. Some appliance colors have gone out of style. White and black used to be standard for most kitchen but now look old and outdated. Stainless steel appliances are the way to go because they’re easy to clean and look sleek. 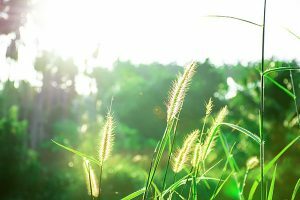 Energy efficiency is another huge reason why you should consider buying new appliances. Now, many big name brands like Samsung and LG are focusing on making their appliances Energy Star Certified. That means they’ll use less power and save you money on your energy bills. Remember how we mentioned that having a lot of counter space is one of the best kitchen remodeling ideas? You can add an entire food prep station or little bar area by creating an island. An island is a small area that’s found in the center of your kitchen. It’s the perfect place to prep food and set up an area to eat a quick lunch. Many islands also have storage in them. You can have your island built over another few cabinets which would be a great place to store pots and pans. The addition of a patio door in your kitchen is something that you don’t know you’re missing until you have one. They add much needed natural light into the room and give you an exit out of your home. If you have a deck or patio outside, adding a patio door will turn that area into an extension of your kitchen. There are two different types of patio doors with different functions and styles. We’ll go into each of the styles below. Sliding patio doors are the more common patio door option available.In order to be energy efficient, your patio door should be made from vinyl and should have double or triple pane glass. The biggest benefit of sliding patio doors are their ease of operation. Like a sliding window, you can open and close your patio door with one finger. This is because they move along a sliding track. This is great for a kitchen because if you plan on bringing food outside, this makes opening the door easier with your hands full. Not only that, but they maximize the amount of light you allow into your kitchen. You want a bright kitchen because you’re cooking and using sharp knives. You need to be able to see what you’re doing and a sliding patio door would help with that. Since sliding patio doors are a large sheet of glass, they help blend the outside and the inside of your kitchen. That’s why we said that your patio or deck can be considered an extension of your kitchen. It’ll also help make the room feel much larger than it actually is. Unlike sliding patio doors, you don’t want your French patio doors to be made of vinyl. These doors should be steel or fiberglass. That’s because these doors have a foam insulated core which makes them very energy efficient. You have many customization options available with French patio doors. They can be two or three panels, swing out or in and have many different colors available – including multiple wood grain options. The biggest benefit of French patio doors is their looks. They’re extremely elegant and will improve the overall look of your kitchen tenfold. No matter which patio door style you chose, it’s one of the most important kitchen remodeling ideas we have to offer. 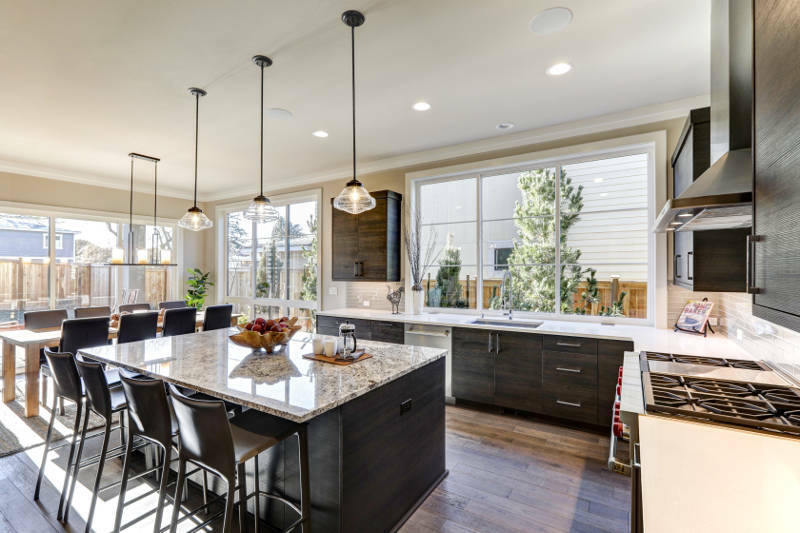 Another one of the most often forgotten kitchen remodeling ideas is the lighting. More importantly, a centerpiece. You want it to be a mix of beauty and functionality. For instance, you don’t want the light to not be bright enough for your kitchen. We already mentioned that light was important. That being said, you want something spectacular to be the centerpiece of your kitchen. Maybe you’d like a chandelier or something more unique. Whatever you choose, it needs to be eye catching without being an eye sore. Now we’re getting into the more expensive kitchen remodeling ideas because this may require a little construction. In the end, it’ll be totally worth it because you’ll have a larger pantry and more storage. Having a larger pantry allows you to store more canned goods, cereals, condiments, pasta and paper plates without taking up cabinet space. If you have a small pantry, you understand the struggle it is to get everything to fit inside. If your pantry isn’t backed up into another room, you can enhance its size and make it longer/wider. Not only will you have more space, but it’ll also increase the value of your home. These 9 kitchen remodeling ideas will allow you to create the kitchen of your dreams. Whether you need new windows or want more cabinet space, we have something for you on our list. Speaking of windows, if you need replacement windows, you’ve come to the right place. Feldco has been serving Chicago with all of their window needs for over 40 years. We take pride in our high quality, energy efficient windows and expert installation. The same can be said for our patio doors. We offer both sliding and French patio doors and will make sure you get the perfect style for your kitchen. We’ll even measure the opening multiple times to ensure that you’re getting the right fit. Don’t wait on improving your kitchen. Get a free quote from Feldco for your replacement windows or patio doors. 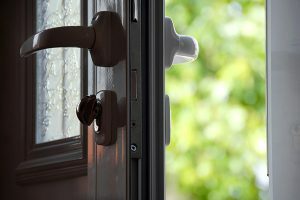 We’ll show you why we’ve been named America’s #1 window and door company.